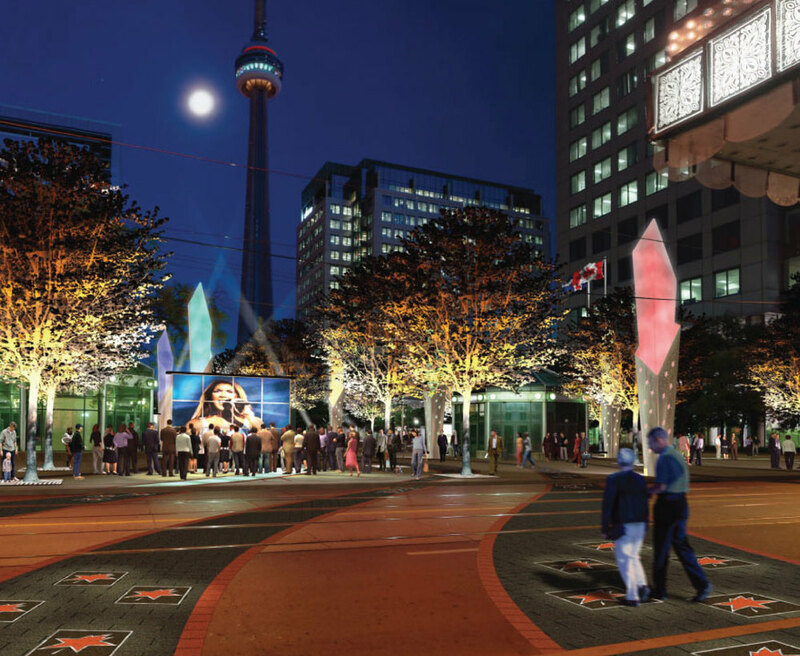 Winner of the Canadian Walk of Fame Competition, LANDinc proposed a provocative concept inspired by the Canadian Northern Lights, and a celebration of light, day and night, for all seasons. 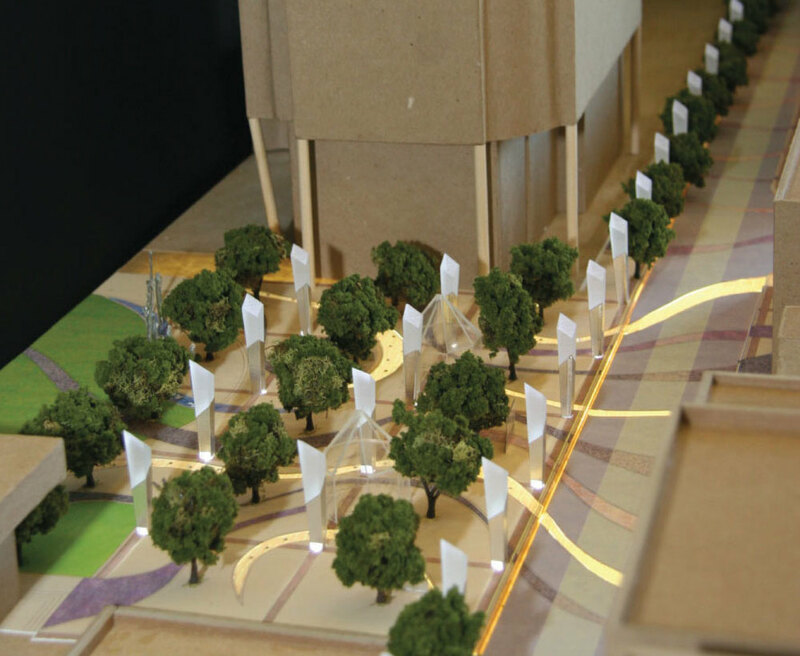 Sited in Downtown Toronto the concept includes the design of site specific lighting and furnishings that will highlight the individual stars. 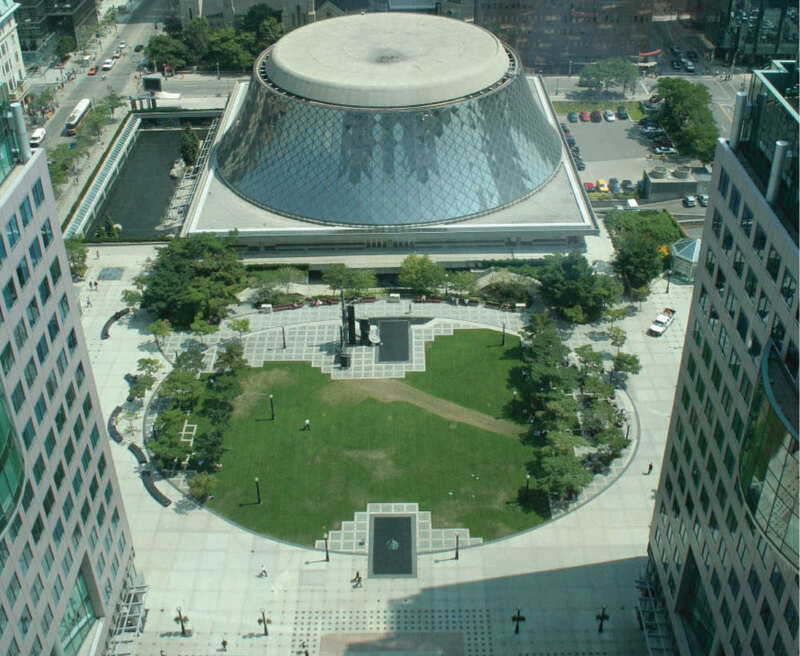 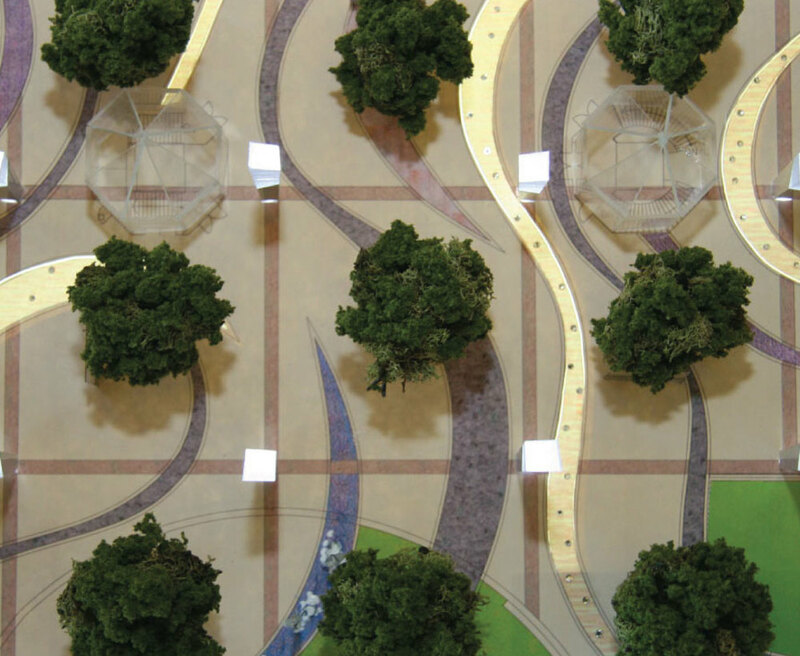 The design is multidimensional, using modern elements and place-making techniques, to honour the depth and diversity of Canadian achievement while representing the elusive identity of this nation. 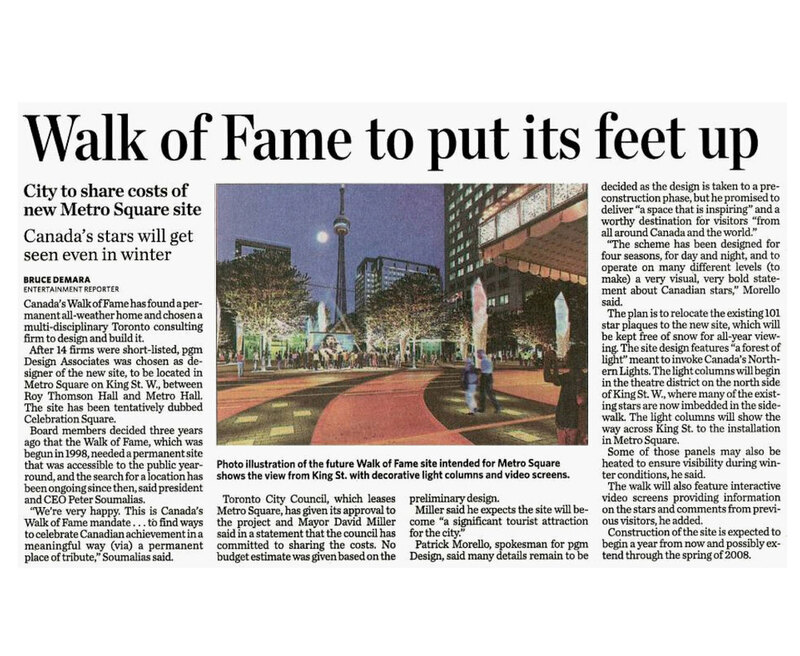 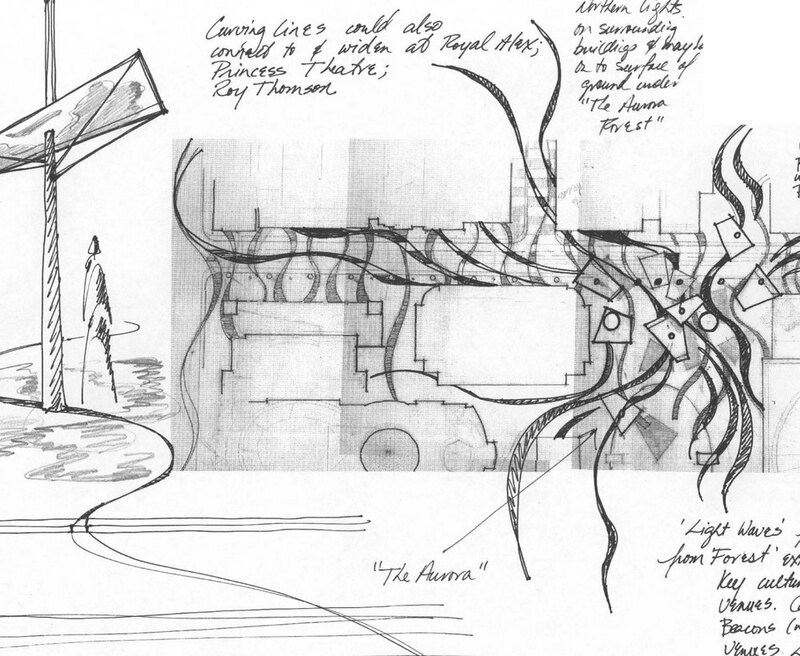 The Forest of Light will establish Canada’s Walk of Fame as a dynamic and memorable pedestrian-oriented Toronto landmark that sets the stage for illuminating the "stars" and their achievements.